← Water Drought – The World Agricultural Expo. tree-sized cactus species in the monotypic genus Carnegiea. U.S. The saguaro blossom is the State Wildflower of Arizona. The Saguaro cactus called the “Grand One,” near Carefree, Arizona, and estimated to be more than 200 years old was burned in the Cave Creek Complex fire and may not survive. It was once the largest Saguaro in the world. The fire has burned more than 214,000 acres of the Sonoran Desert. AEF Saguaro Cactus Project will allow the future leaders of our community “our children” will a play a vital role in helping to restore the amazing Saguaro cactus throughout Arizona. AEF will work with schools, young groups in the Adopt Saguaro Program. 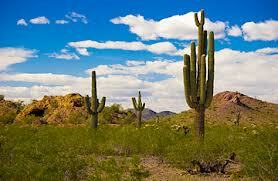 AEF is working with a local grower and will have hundreds of local 1 – 2 year old Saguaros for the project. AEF will be working with local, state, federal management agencies as well a private land orders via our “Conservation through Participation” program for planting locations. Our kids will play a vital role in re-establishing the Saguaro cactus in areas heavily damaged by fires, poaching and lands altered by human activities. This is a grass root project and with AEF’s success in the Sierra/Nevada – Jeffrey Pine Project and the California Central Coast – Coast Live Oak Project we know this will be a very successful project. AEF is always looking for project partners, volunteers, and project support so we would love to hear from you. This entry was posted in AEF News, You Need To Know and tagged American Evergreen Foundation, conservation news, e-news, Saguaro Cactus. Bookmark the permalink.